Global carmakers will show off their latest models at the Beijing Auto Show this week, days after China unveiled plans to shift gears in the world's biggest car market by lifting foreign ownership restrictions. Industry giants such as Volkswagen, Daimler, Toyota, Nissan and Ford will be among the companies seeking the limelight in a country where 28.9 million vehicles were sold in 2017, a three percent increase from 2016. Although sales lost steam compared to the previous year, foreign automakers are still eager to win bigger slices of a huge market as they face increasing competition from domestic companies that are investing in electric and self-driving vehicles. And the Beijing Auto Show is their chance to display their new models to Chinese car enthusiasts. 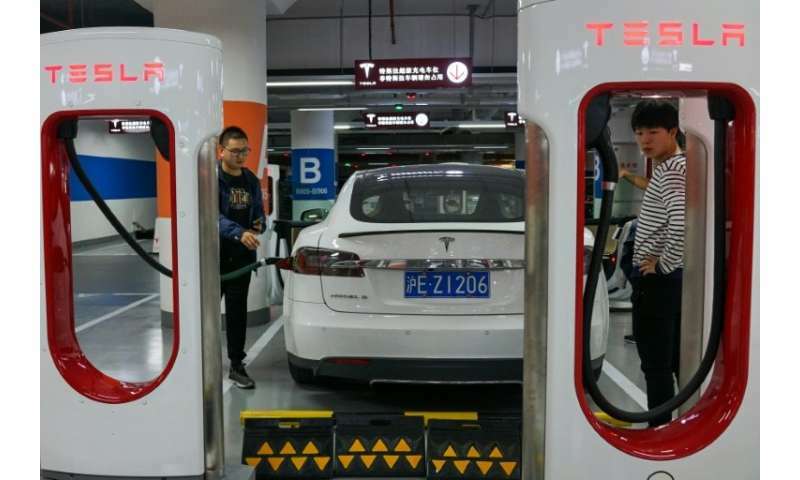 The event "is becoming the largest in the industry... No one can ignore China," said Ferdinand Dudenhoeffer, director of the Center for Automotive Research, based in Germany. This year's auto show could be dominated by "political" topics, he said. The spectre of a trade war between Beijing and Washington worries auto executives as it could bring their plans for China to a screeching halt. But Beijing announced on Tuesday that it will liberalise foreign ownership limits in the sector, a move seen as a possible olive branch to President Donald Trump, who has complained about China's rules for the industry. But the changes will end shareholding limits for new energy vehicle firms as soon as this year, followed by commercial vehicles in 2020 and passenger cars in 2022. So far the news has been greeted with caution by the world's automakers: Daimler, the parent company of Mercedes, said it would "monitor developments in regulations closely" while Volkswagen said it would "carefully analyse" the changes. On the floor of the giant China international exhibition centre, auto executives may offer a more detailed take. "They have a decision to make: do they want set up production facilities in which they have a bigger share, or do they want expand their current JV or try to purchase shares back from their current partner," said Bill Russo, a managing director at Gao Feng Advisory Group, noting most would find it difficult to restructure their current joint ventures. Russo noted the policy could be a positive for companies like Tesla which has so far resisted taking a Chinese joint venture partner. President Xi Jinping has also pledged a "substantial" reduction in tariffs on imported cars by the end of 2018—a boon for high-end brands, even if the volumes concerned remain limited at the moment. 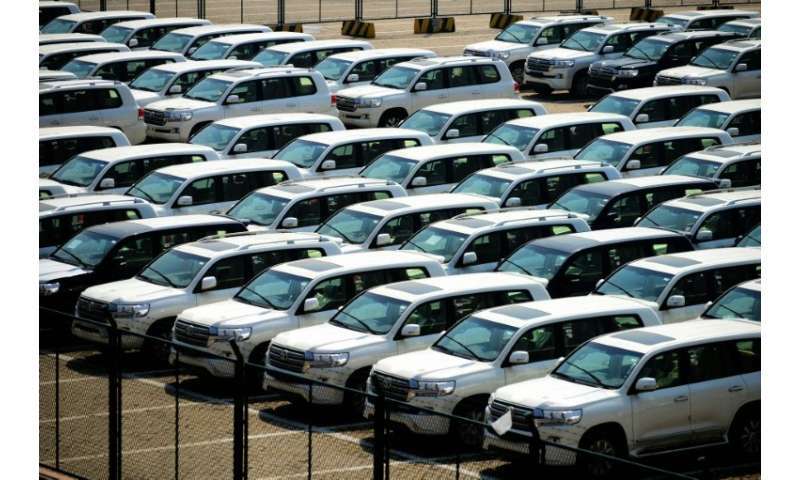 China charges a 25 percent import levy on vehicles, with luxury cars being hit especially hard by additional taxes. The US's 2.5 percent tariff rate is low in comparison, though it ticks up to 25 percent for pickup trucks. Trump has railed against China's car tariffs. Foreign brands control more than half of China's car sales, many of which are made in the country through their joint ventures, thus not subject to import duties. But their market dominance is being challenged in the growing SUV segment, where Chinese brands take 60 percent of the market. While China's booming car market saw some hiccups last year in certain categories, SUV sales were hot, growing by more than 10 percent, according to Russo. SUVs were once the gas-guzzling symbol of America, but unfortunately for foreign carmakers, many local brands have learned how to produce the hulking cars on the cheap. Chinese consumers have found their pocketbooks often prefer the cheaper homemade brands which have launched a slew of models. Local carmaker Changan is pumping out the CS 75. Great Wall Motors makes the popular Haval. And Geely is selling upwards of a hundred thousand Tiggo. "Foreign carmakers have been presented with more competition over the past two years, coming from more affordably priced SUVs produced by the local carmakers," said Russo.